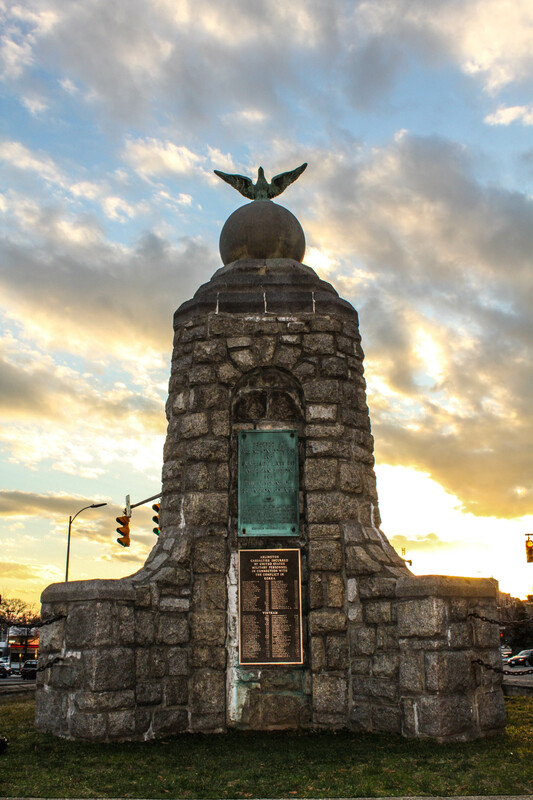 Every day, thousands of residents of Arlington County pass by this historic War Memorial. What is unknown is that it is dedicated to the citizens of Arlington, Virginia who lost their lives in service to their country from World War I up until the Vietnam War. I have lived in Arlington for nearly nine years and I had never stopped to see what the monument was about or who created it. 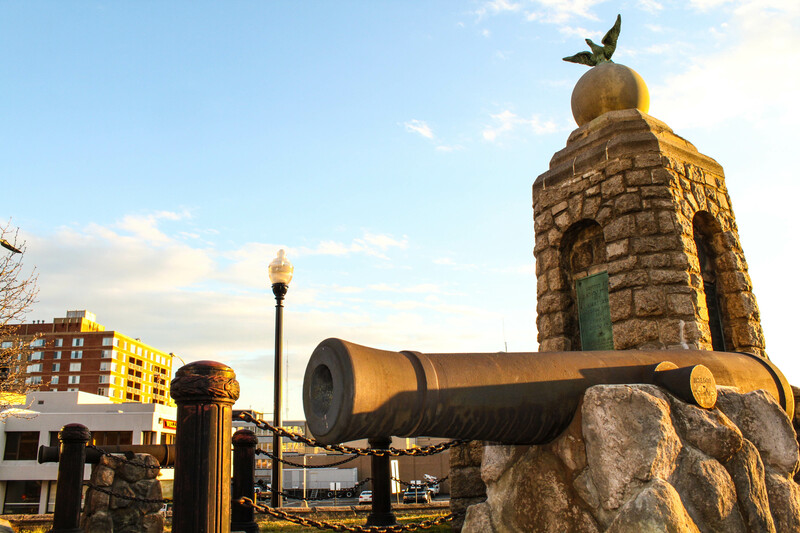 Today, I decided to do some research and find out exactly what the monument stood for and who created it. The Arlington County American Legion originally dedicated the plaque below and it stood on a monument near the tomb of the unknown soldier in Arlington National Cemetery. 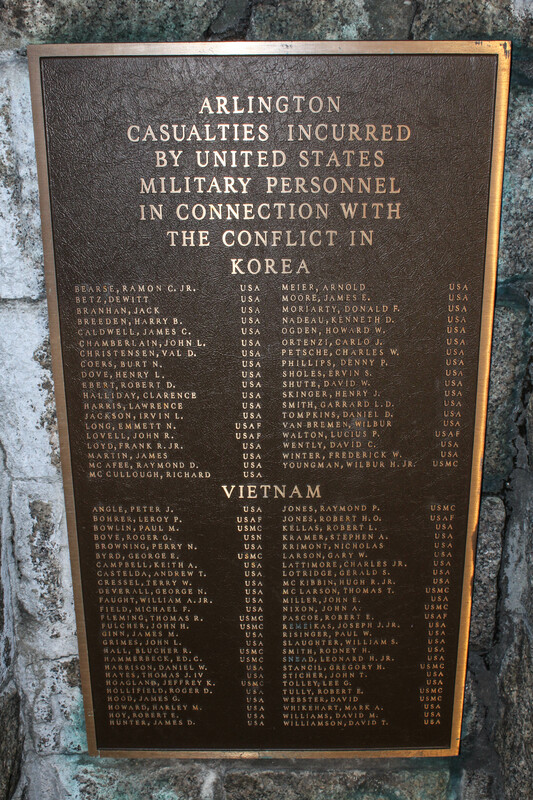 In 1986 the plaque finally made its way back to the current location and it is accompanied by other plaques dedicated to those lost in World War II, Korea, and Vietnam. I am glad I took the time to walk a few block from my home to the memorial and rededicate this amazing monument on History Hiker. 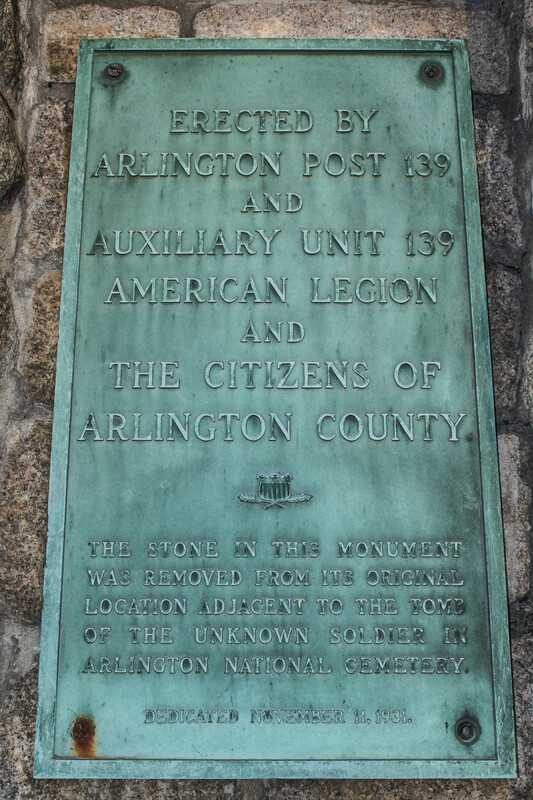 Above left is the original plaque dedicated by the Arlington American Legion in 1931. 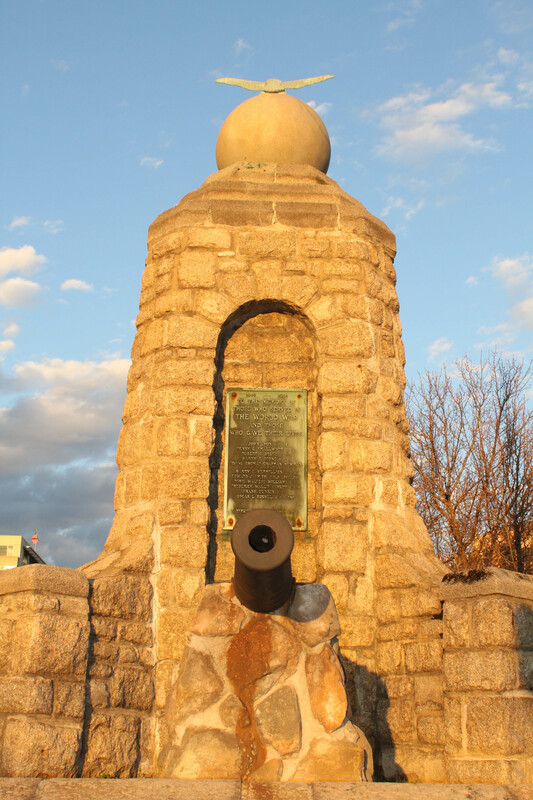 Thanks for your effort for writing “Arlington County War Memorial � History Hiker”. These memorials are not presenting heroes, but sorrow, orphans, war widows and soldiers who mourn fallen fellows. Unauthorized use and or duplication of photos from this blog without the express written permission from TORO Media, LLC is prohibited.